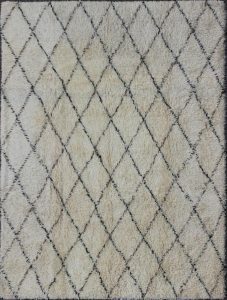 Moroccan rugs are known for having bold designs and colorful patterns. Many of them are geometric in nature, so they make perfect additions to a variety of interiors, including transitional, Mid-Century Modern, and contemporary. Read on for more information about these works of art and the tribes who create them. How and When Did Moroccan Rug-Making Begin? 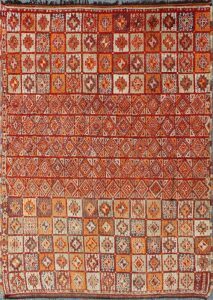 The first Moroccan carpets can be traced back to the mid-19th Century. 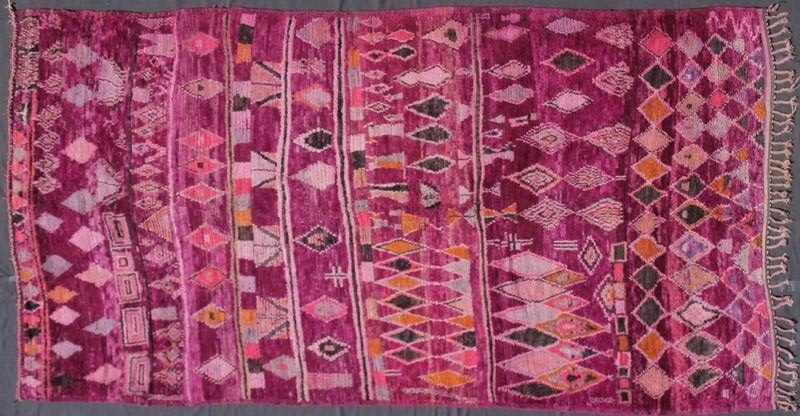 Many Moroccan rugs were woven by tribes in the Atlas Mountains, which historically has been a major trade route for caravans that went from the Sahara Desert over the Atlas Mountains to the African coastline. The tribal people of the Atlas Mountains have passed down traditional Moroccan carpet-weaving techniques from generation to generation. Heavy-pile Moroccan rugs were used in the snow-capped Atlas Mountains as sleeping mats, burial shrouds, saddle blankets, bed covers, and interior decorations. 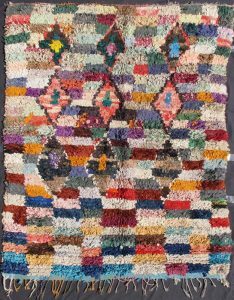 Two of the most popular and talented rug-weaving tribes are the Berber and the Beni Ourain tribes. How Are Moroccan Rugs Made? Moroccan rugs can be rich in color or, for some, muted and minimalist. They are traditionally abstract and have geometric patterns. 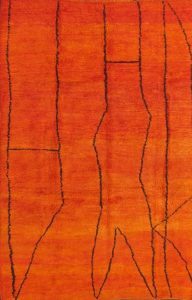 Antique and mid-century Moroccan rugs are never over 7 feet wide, as the weavers were nomadic and had to move the looms during the winter and summer seasons. 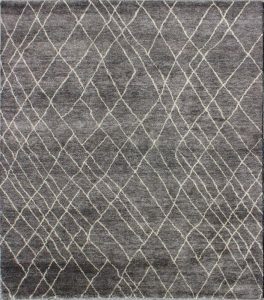 The popularity of Moroccan rugs has risen over the years, transcending their original practical purpose as decorative floor coverings. 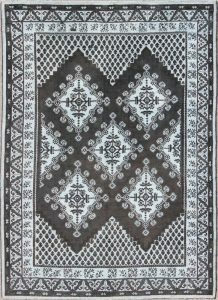 Click the images above to learn more about each rug, such as when it was produced, its size, and the materials used in its production. View more from our extensive collection of Moroccan carpets on our website by clicking here. Leave your questions about Khotan rugs in the comments below. 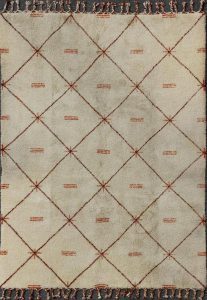 And click here to see more Khotan carpets on our website.